Mr Czarny was cross examined by Mr Tweedie for about 90 minutes and certainly earned the money invested by the property owners in Manningham St (submission 489). Mr Tweedie challenged Mr Czarny who, on the one hand, criticized the Urban Design Framework (UDF) for having aspirational principles and yet also criticised the reference design for its inadequacies. Helped by Mr Pitt QC near the conclusion of the day’s proceedings, Mr Czarny advised that Urban Design Principle 2.6 is completely at odds with the reference design and so it could not be achieved. Importantly today, Mr Tweedie, in cross examining Mr Czarny, suggested the project may not be constrained to within the project boundary given that the declared project is a connection between the Eastern Freeway and CityLink with a further connection to the port. He also stressed that the reference design is not likely to be built given that the bidders have been encouraged to consider alternatives. Mr Adrian Finanzio SC reminded the community representatives that heckling the LMA will not win any favours. This followed a dumbfounded guffaw by a few of the community members when Mr Tweedie suggested that West Parkville is a reasonable place to impact given that it is already degraded as opposed to Fitzroy or Carlton, which should be protected. 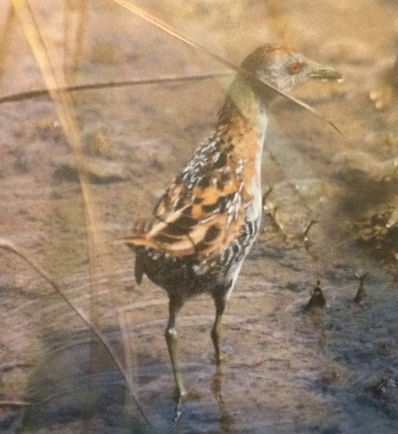 Chris Lester from Travancore gave the first community presentation at 2pm today focusing on birdlife in Royal Park and dubious traffic justifications from LMA and DTPLI. 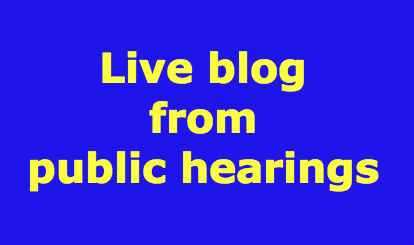 From one of our bloggers: Mr Chris Lester was the first of the community presenters to speak at the hearings and presented his opposition to the CIS and the flawed Urban Design Framework. He also highlighted that the benefits of the project have most likely been overestimated and the costs will likely be underestimated meaning that the cost-benefit will be less than 1.4. Mr Lester was the first presenter at the hearings to have received a round of applause, which originated at the southern end of the room (note from Ed: although the darkened and windowless nature of the room make it hard to know which way is south). Mr Morris cross examined Professor Townsend and endeavoured to show the professor’s views as a public health sociologist as marginal and not universally held. The professor suggested that there would be nobody in this room whose views are universally held. Mr Morris focused on a 2009 report by Lee and Warren, about a lack of robust evidence for the link between between mental health and green space. But the professor indicated that new data had been released since 2009 and her conclusions are correct based on research by her colleagues and others demonstrating clear links.. Professor Townsend took issue with the suggestion that she has cherry picked information from the research. Craig Czarny was called by the City of Melbourne. Mr Czarny was commissioned by residents of Manningham St to conduct a peer review of the CIS of Precinct 3. He said that a project of such state and national significance should be developed in a sensitive and harmonious way if benchmarked against global projects of this nature. 4 there is inadequate consideration of alternatives. 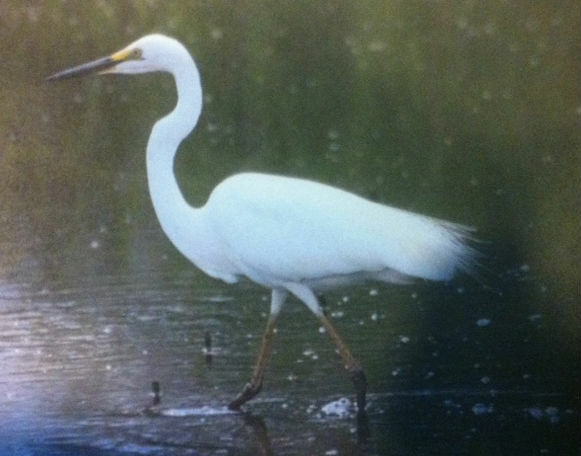 5 impact on wetlands is inadequately assessed. In cross-examination, Mr Czarny said that principles and objectives are not enough and more prescription is required. Cross examination of Mr Czarny continues. Under cross-examination from Stuart Morris, Bull did not disagree with Dimity Reid’s view that Royal Park was developed without a plan for much of its history . Reid described Royal Park as a horticultural dumping ground. She did not agree with Morris’ contention that a naturalistic description applies only to the southern third of Royal Park. She did agree that works in Ross Straw Field would be hidden from other parts of Royal Park but stated the flyovers would have a major impact. The portal at Elliott Ave would be more widely visible. She was surprised and disappointed about the approach the LMA have taken to this major park. She expected there would be tunnelling all through Royal Park and was surprised cut and cover was still being discussed. Flyovers would have a dramatically different impact. Mr Wren asked if the threshold requirements provided by Professor Bull should be included in UDF and if not, how does this evidence assist the Committee? Professor Bull responded that this would be a substantial piece of work and should be commissioned. The work has not been done to support the propositions asserted by the reference design. Professor Bull considered that the UDF has to survive some years and needs to be robust . Mr Pitt concluded the cross examination by asking if the UDF principles are achievable in the reference design. Bull could not see how the reference design could achieve the urban design principles in key areas and could see a conflict between the design and the UDP. In the design of the project the alignment away from the park should have been considered. Associate Professor Mardie Townsend presented evidence on likely health and wellbeing impacts of the project associated with changes in the quantity and quality of parkland. 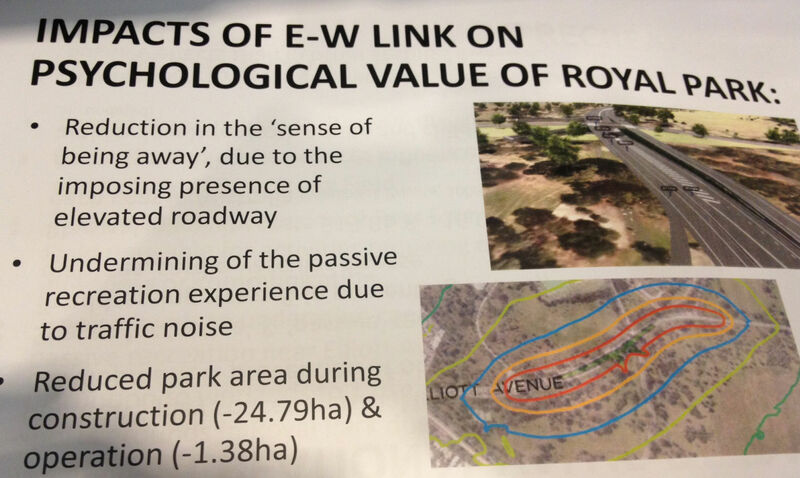 Townsend’s clear view is the “EWL is likely to impact detrimentally” and “undermine the social and psychological value of Royal Park. Townsend talked about the necessary nature of green spaces, the lower incidence of adverse health outcomes for those living within reasonable distance of green spaces, and the importance of green spaces as powerful conduits for social interaction. She referred to the loss of Manningham St playground, Ross Straw Field, the loss of wetlands will impact playgrounds by loss of water and the increased noise levels undermining passive recreation. Chris Wren’s cross-examination began by asking Townsend about stress levels in congested traffic and the importance of relieving congestion to improve people’s health. He also questioned her adamance about flyovers adversely impacting recreational opportunities citing the playing fields beneath the Monash freeway as examples of people playing sport successfully beneath or adjacent to freeways. Townsend argued the grade separation at Elliot Avenue would result in adverse visual perceptions and a greater impact than the existing set of traffic lights. Wren asked whether people currently stopped and ate lunch on the median strip in Elliot Ave. No, they don’t. With that, we are stepping out for lunch – looking for a median strip in Spring St on which to spread a picnic rug. The week has opened with evidence from Catherin Bull providing her critique for the City of Melbourne on the impact of the project on open space – primarily Royal Park and Moonee Ponds Creek. She describes Royal Park as a destination in its own right: a retreat from the city; naturalistic, informal, expansive and open. The risks from the project are irreversible change, particularly at Ross Straw field and Elliott Ave.
She states that the roads from the project must be rerouted from central park areas: parkland should dominate, otherwise the project should not proceed. These are threshold requirements: major roads which cannot be avoided must be on the periphery of the park rather than through the middle. There will be a very substantial impact on the park: it will influence way in which the park functions and alter the nature of the use of the park. We hear there have been alternatives proposed for routes though the park (eg from Higgs) and these need to be assessed. The reference design has not been comprehensively assessed in the CIS. Under cross-examination by Wren, Bull says EastLink did not pass through well established urban neighbourhoods and sensitive areas which led to different performance requirements. Bull expressed concern that the UDF (Urban Design Framework) is more of a wish-list. She said the committee should decide necessary work has to be done by the proponent, to redo the UDF. It must be robust and must be of long term use. With respect to Elliot Ave., to minimise the impact of a portal in the core of the park, it could be moved to the periphery of the park. With respect to Moonee Ponds Creek, if Part B is built, Monee Ponds creek will not be a greenway. The idea of some areas being degraded (eg West Parkville, Moonee Ponds Creek) and therefore not worth protecting seems to condemn Melbourne to be fixed by the decisions made in decades past. Imagine if that had happened in the 1940s – areas that are now magnets for population growth that are seen as deserving protection (eg Fitzroy and Carlton) would have forever been written off as poor slum areas. Why are we so obsessed with the idea of planning perfection having been reached somewhere around the1970s?